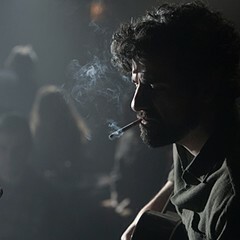 Anybody who has seen Inside Llewyn Davis and didn't forget what it was about ten minutes later should read Aimee Levitt's excellent Bleader post and the many comments that follow, because they demonstrate what is most true about the movie: it stirs the mind. After promising ourselves that we'd see all the Oscar-nominated films, last weekend we went to Llewyn Davis instead—it had been on our list, we couldn't count on it staying around much longer, and, besides, it was at the Davis. I'm glad we chose it. It talked to me. It's about a journeyman, I said as we walked down the street to dinner. He's good at his craft and it's what he wants to do, but if he was ever a fair-haired boy he isn't any longer. There were a lot of guys like that at the Sun-Times, I went on, thinking back to the 70s. They were proud and they were good, and the paper couldn't have come out without them. But no one asked them to write columns. Kids like Bob Greene showed up and got columns. It didn't seem fair but it was. These kids had "voices." The journeymen didn't. It was painful to be a journeyman. There are plenty of lawyers who feel the same way, said the lawyer in our group. There are lots of people in every walk of life who feel the same way! 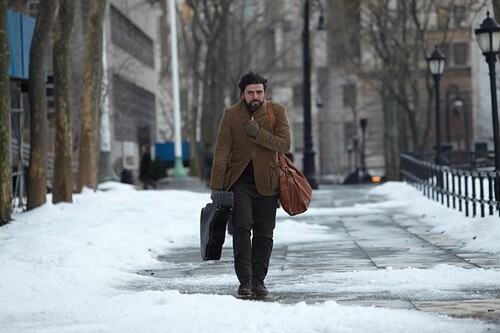 (What do I know about folk music?—but after Llewyn Davis I felt fully engaged.) Talk all you want to about years of experience and institutional memory at a newspaper, I was saying. Lack of institutional memory will embarrass a newspaper from time to time. Lack of the relentless, selfish energy and passion and originality that kids bring will kill it. I was fair-haired for a while, I remembered, and then I wasn't. And who wanted to be a journeyman? Not at the Sun-Times—where only the headliners mattered. I should have left before I was pushed. At least there's a place for journeymen in journalism (or was), a place with a medical plan and a decent salary. But in folk music! Llewyn Davis was a better musician than 75 percent of my Sun-Times friends were journalists. And he was starving. No wonder it ate away at him. I've seen that acid eat away at a lot of people with much less to complain about than he had. Driving home, I was still at it, explaining to my wife why the supreme management skill is the ability to make every employee feel appreciated, especially the ones you don't want to lose even though you're pretty sure you could replace them. American Hustle is a film I did forget about ten minutes later. It's not about anyone I know or faintly recognize. But I know Llewyn Davis. I understand why he'd reached a point where if he didn't want to think of himself as a complete zero he had to find that cat.